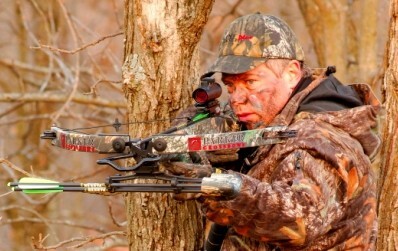 Are Crossbow Hunters Killing Too Many Bucks? Back in 2014, I blogged that Wisconsin was the latest major whitetail state to permit the use of the crossbow during the regular archery season. Since then, the crossbow season in the state has run concurrently with the archery season, typically mid-September through December. One of the original complaints from traditionalists and vertical bowhunters at the time was that crossbow hunters would kill too many bucks. There is no denying that it is easier (and takes less practice) to kill a deer with a crossbow than with a compound or recurve. Well, 5 years later, with crossbow technology having increased tenfold, turns out those fears might have been warranted. WKOW in Madison reports that at a recent Wisconsin Natural Resources Board meeting, Director of Wildlife Management Eric Lobner reported that crossbow hunters today are killing a larger share of bucks. Lobner presented options for changing the crossbow season, such as ending the crossbow hunt earlier than bow season, to starting the crossbow season later, and even to banning the use of crossbows on weekends. Adding another layer to the controversy, complaints are coming from gun hunters as well as vertical bowhunters. Many gun hunters think crossbow hunters are killing too many bucks during the rut and before firearms season opens, lessening their chances. At the center of the new crossbow debate is advanced technology. The improved power, range and efficiency of the crossbow combined with the long deer season accounts for the higher buck kill in WI. Two things complicate this discussion even more: 1) the ongoing loss of people hunting and buying licenses these days; and 2) a concern for adding more red tape and confusion to the hunting regulations. No doubt that expanded crossbow seasons, in WI and other states, have increased hunter participation and retention. If you restrict crossbow use, you will no doubt lose a number of hunters. With hunter numbers down significantly across the U.S., the hunting and conservation world cannot afford this. Also, WI DNR data show that complicated and confusing game regulations and red tape drive people away and may reduce the number of people buying a hunting license, saying it’s not worth it anymore. Upcoming public comment periods and hearings on proposed crossbow season changes are sure to be raucous and controversial, with both crossbow proponents and critics pounding their opinions and positions. And you can bet other state DNRs and hunting clubs are watching what happens in Wisconsin. The new crossbow debate is back in 2019. How do you feel about it? This entry was posted in Big Bucks, BigDeer, Bowhunting, Deer Hunting, Hanback, Hunting Laws, whitetail deer by admin. Bookmark the permalink. Pa. legalized crossbows to all not just the handicapped about the same time as Wisconsin and we hear the same arguments here. Yes there is no doubt that archer numbers grew with the acceptance of crossbows as did the general deer harvest. I am in the camp of, ” if it increases effective human killing of game so be it” . My pal owns an archery pro shop he sells 15 crossbows to one compound most are to compound users whom decide to start using crossbows to be more effective,some do it because of aging, all agree it takes little practice to learn to use it. Too many anti crossbow fanatics forget you must still hunt the deer they are not suddenly walking downwind standing in front of you. I have been bow hunting since 1966 recently killing my 40th buck in a the last 40 years with archery equipment here in Pa. ( a 1 buck per year state) Enjoy the woods choose what you are comfortable with and hunt…it is that simple. Plain and simple if they think the crossbow people are killing all there bucks pickup a crossbow and join the hunt, if you cant beat them join them! I own both. If I am sitting on the ground I use the crossbow. If I’m in a tree stand I’m using the compound. I have some spots that are perfect for ground blinds and other spots that have perfect tree stand set ups. I won’t shoot further than 40 yards with both even though I practice with both out to 60. When I practice I have both with me. Take about 10 shots with each at various yardages. I actually prefer using the compound for hunting because I can follow the arrow after I pull the trigger. I have killed numerous deer, elk and bear with the compound. And just this year I was able to get my first buck with a crossbow. From a tent blind during the middle of a snow storm. If I didn’t have the crossbow, I probably would not have been hunting in that storm. I say that everyone should practice and hunt with whatever tool they feel the most comfortable with in a given situation. Poaching is the biggest problem with all the crossbows in wi. Way to easy and quiet. Shining and rifle shots were very common until crossbows were allowed. Wardens had a chance with shots ringing out. Not anymore. That combined with no carcas tag and no in person registering is a poachers dream. Wi DNRs needs to get to work or they are going to lose a lot more hunters. Unlimited buck tags for everyone. Wow can’t believe that doesn’t work. Buck to doe ration terrible. Manage the resource already. Selling tags isn’t the job. Oh ya… there is no tags. In WI it is not that CrossGuns are killing too many bucks, it is that gun hunters are seeing less quality animals on the landscape when it comes their turn to hunt. The CGs are cleaning house on the mature bucks during the rut. Myself I would have absolutely no complaints about CrossGuns if WI become a one buck state, made it illegal to cross tag bucks (and actually enforce it), outlawed cell-pone trail cameras, outlaw in-season baiting, and introduced some form of APRs that got 95% of the 1.5s thru the season. But honestly we had the law set at the perfect compromise prior to opening it up to all… 55 and up or if have a physical disability. But there was too much money to be made by the bow companies and too much of the hunting community wanting better odds at harvesting. It was inevitable the lawmakers were going to cave and they did. I can’t blame them, much of the country had already made the move. About all the average joe can do is hope he/she has like-minded neighbors, or just put up with it and enjoy the great outdoors for what it is. I understand the concern from both sides. It is difficult to come up with a solution that everyone will be happy with. Great article thanks for sharing both perspectives! !